Nevin is a remarkably clean and healthy fishing town on the Southern shore of Caernarvon Bay. The beach, one of the finest in Wales, is composed of firm, clean sand, and affords safe and plesant bathing at all states of the tide. Visitors may also enjoy safe boating in the little bay fronting the town. The climate is mild, but bracing. There is unlimited supply of pure water from the springs on the side of the mountain above the town. The scenery is magnificent. In the immediate neighbourhood there are pleasant cliff walks, 130 feet above sea-level, and the surrounding district affords interesting excursions. Nevis is historically interesting as the spot where, in 1284, Edward I held a grand triumphal festival, at which tournaments were the principal amusement. The site of the lists can still be traced. The Church (St. Mart’s) has a singularly narrow tower, surmounted by a disproportionate ship, which does duty for the weathercock. About 2 miles from Nevin, on the Pwllheli road, are the Bodvean Woods, already described and 4 miles distant are the Rival Mountains and Vortigern’s Valley. The motor omnibus which runs between Nevin and Pwllheli also serves Morfa Nevin and Edeyrn, or Edern. Morfa Nevin in on the coast about a mile west of Nevin. Edeyrn is a short distance farther. 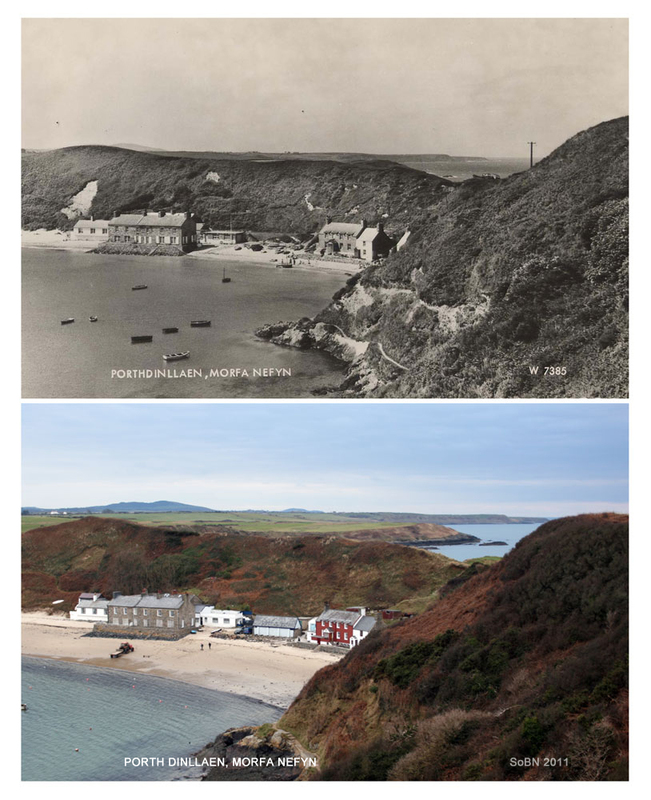 Fronting Morfa Nevin and part of Edeyrn is Porth Dinlleyn Bay, a pretty inlet divided from Nevin by a sharp promontory, and forming a fine natural harbour. It’s beach, about 2 miles long, is perfectly safe for bathing at all states of the tide. 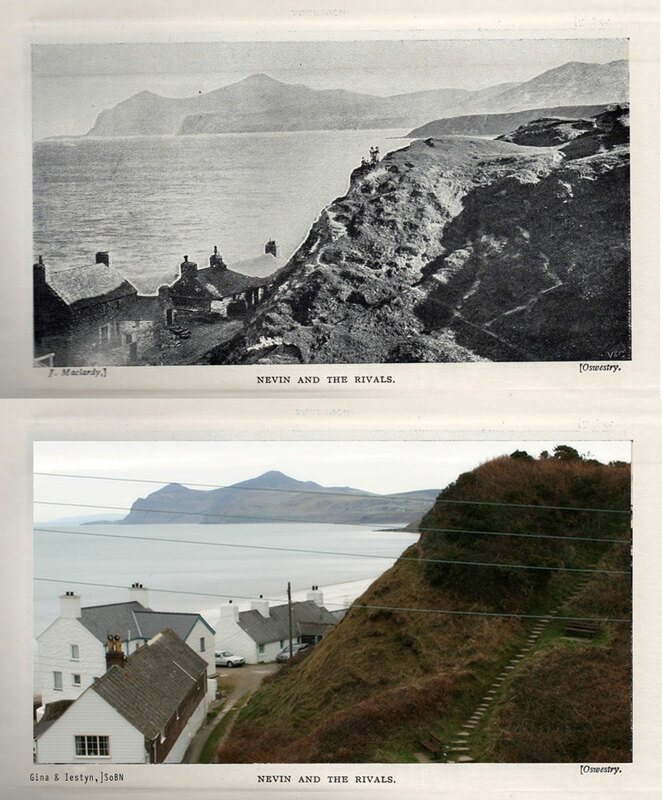 The Cambrian Railways Co. hope some day to carry their line to Porth Dinlleyn, on the western horn of the bay, and to open out a new route thence to Dublin. 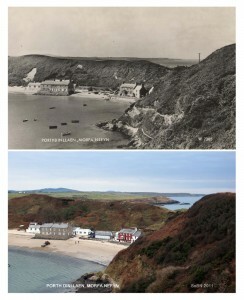 Porth Dinllaen has always been a favourite spot of mine. It’s a beautiful place, with really awesome wild life – in the right season, you can see Seals off the shore. (Sht! You). The beauty of the place is amazing, with a great costal walk around the headland. It’s been spoilt a little by a huge massive Golf course, but you can’t have everything. This entry was posted on Sunday, February 20th, 2011 at 23:23	and is filed under Retro. You can follow any comments to this entry through the RSS 2.0 feed. You can leave a comment, or trackback from your own site.